Thank you ALL so much for your input as to the colors…. I am using your ideas…. take a look!! 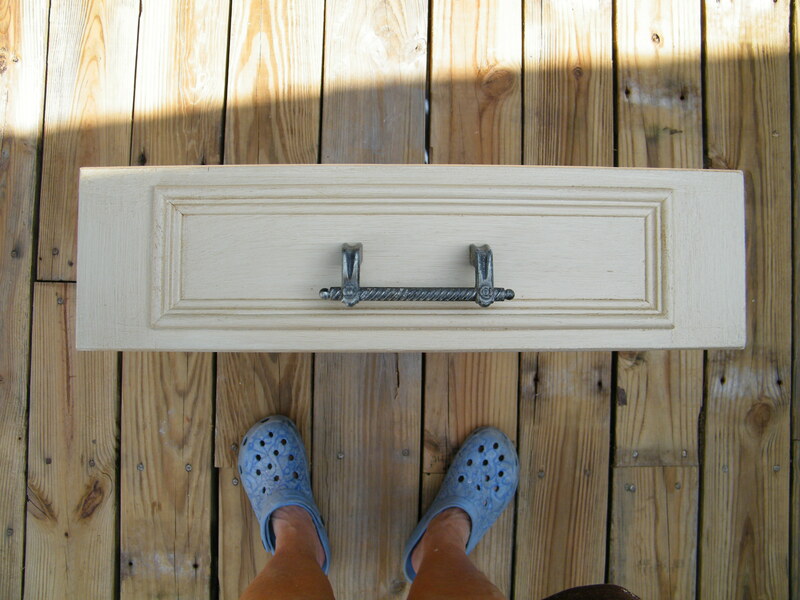 This is the drawer front minus the handle. Same drawer with the pull added. I have to re-use these pewter pulls because the budget is getting tight, so… They aren’t so bad… I did have to clean them and remove a varnish coating… so they look newer! They are pewter and heavy… so?? I have all the drawers finished and the actual kitchen cabinets. But all the doors (30!) are only primed. 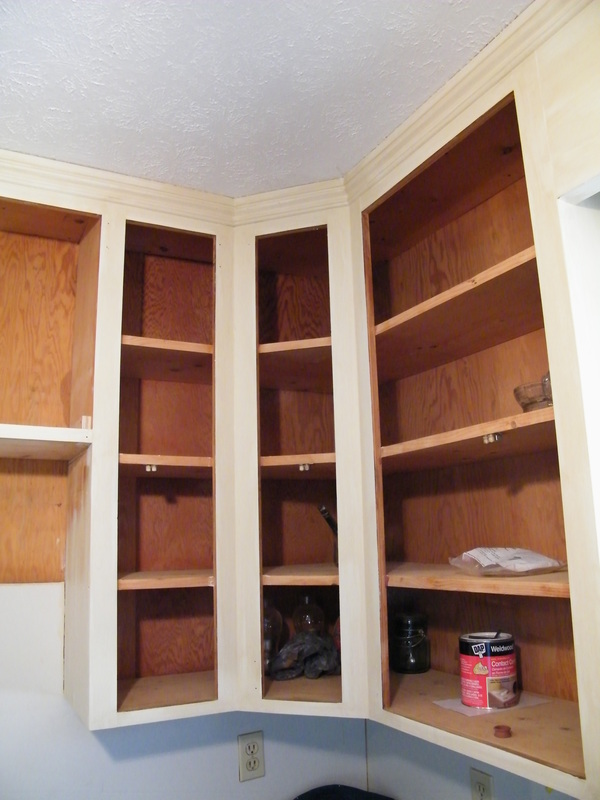 We added teh crown molding to the cabinets to give some detail… I think it dresses them up fancy! 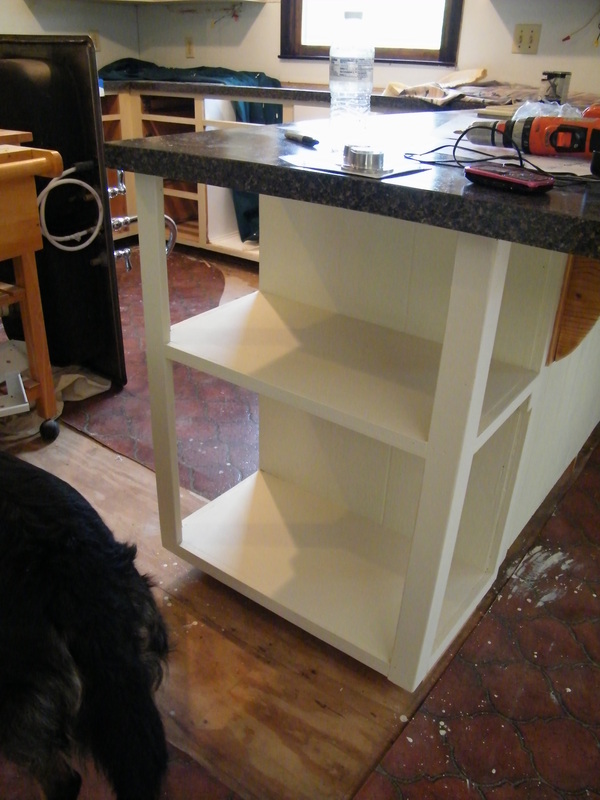 This is the under the cabinet shelve I made to extend the counter top, but not all the way to where the old cabinets went. I am planning on painting that the blue color just to add a pop of color. See the counter-tops…. yippee! I have enough bar space to have four stools for the kids to sit and ‘be’ with me in the kitchen while I cook. 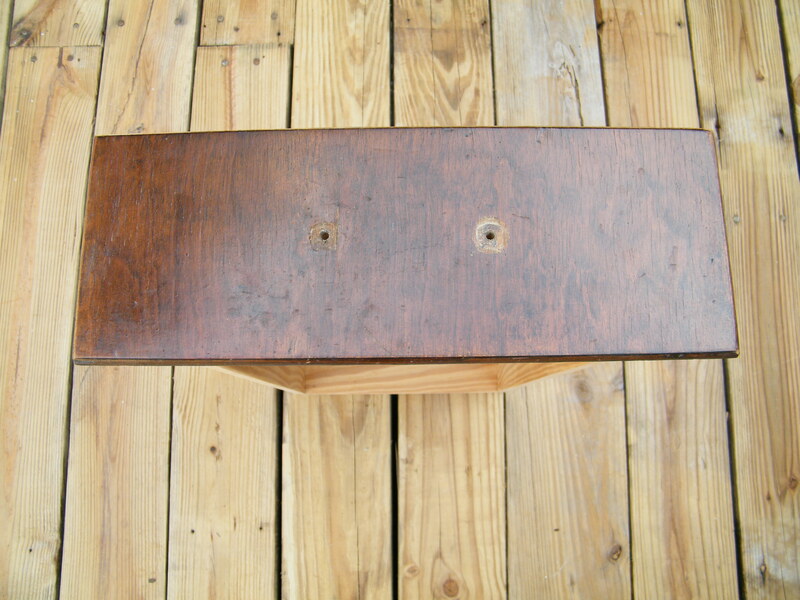 The floors are going o be the hardwood…. but After I finish the cabinets and wall space. It’s a mess right now…. but you have no idea how far we have come!! We’re thinking of tiling the backsplash with maybe glass subway tiles. Hopefully we can find some with a little blue color. 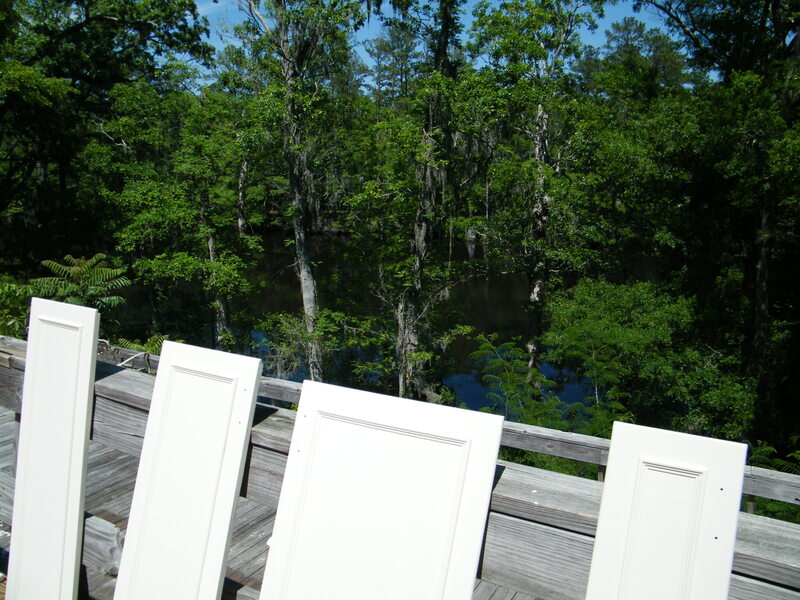 Here’s the view while I did the touch up priming to the doors…. was less slick/shiny and more decorative/dull/dark!!! Can you put some lights under the end of the cabinets? A little pen light you could use it as a focal point and also provide some light at night.